Can I follow the tournament on Twitter? 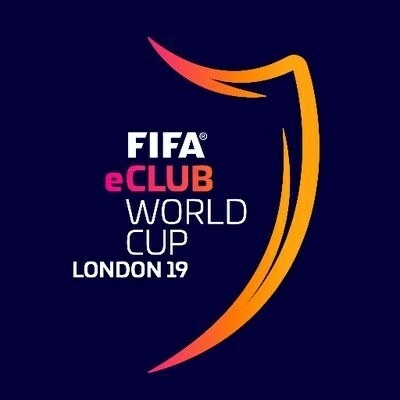 Updates will be provided on the FIFA eClub World Cup official Twitter page and also the competitive EA Sports Twitter page which focuses specifically on FIFA eSports. Also be sure to search the hashtags #FIFAeClubWorldCup and #FIFAeWorldCup as well as looking up ‘FIFA eClub World Cup’ in the Twitter search bar. Don’t forget to follow your favourite players competing in the tournament, along with their respective clubs/organisations who are likely to provide real time updates on their progress. 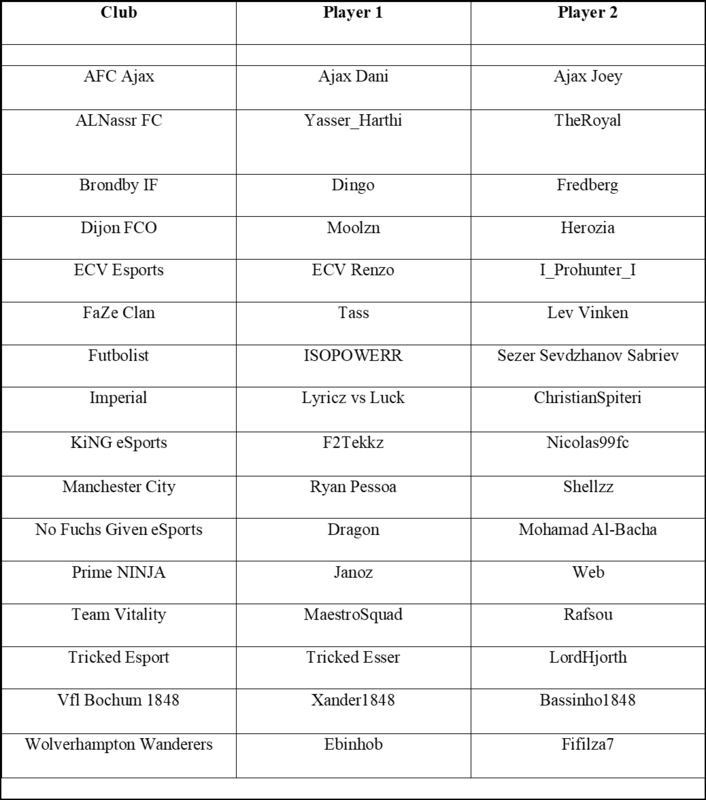 The FIFA eClub World Cup will be contested by 16 clubs consisting of two players per team (one Xbox player and one PS4 player). These clubs have been split into groups of four where they will play each team in their respective group. A total of nine points will be up for grabs in all group matches with each game consisting of three separate contests listed below. The winning player/players of each contest picks up three points for their respective club, while the losing team will not pick up any points. Should any match be drawn, each club pick up one point. Match Three: Each club’s two designated players team up together to face the opposition. This match is to be contested on a pre-determined console agreed before the tournament. The top two clubs from all four groups will advance to the knockout stages. All knockout ties will consist of two matches, one on each console. Should these two matches result in a draw, a third and final match will be played where each club’s two designed players team up to face each other. The club with the greater goal difference within the first two matches will choose the console to play on. All 16 clubs and the groups in which they will compete can be seen in the graphic below. The FIFA eClub World Cup is different to most tournaments in the FIFA 19 season as it sees players pair up together and compete as a team in an attempt to bring home the gold for the club they represent. 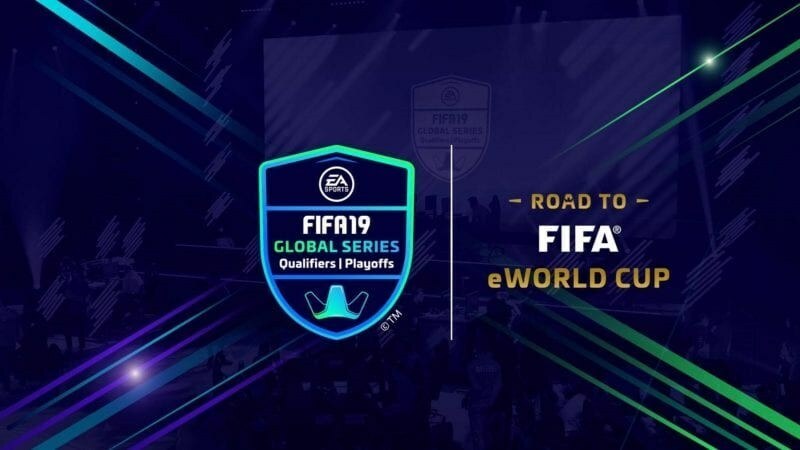 To qualify for the FIFA eClub World Cup, each club had to make it through an extremely tough online qualification process. The 16 clubs who qualified all boast some very familiar names within the world of professional FIFA who will be playing not only for themselves, but for their teammate and club. One team will enter the FIFA eClub World Cup as the clear favourite to win it all. KiNG eSports, who will compete in Group D, have assembled a FIFA 19 ‘dream team’ with the two best FIFA 19 players on their respective consoles according to the FIFA Global Series Points leaderboards - Nicolas99fc and F2Tekkz. It remains to be seen how they will fare together as a team and whether the language barrier could perhaps work against them in a two vs two contest. But on paper, these two pairing up is a mouthwatering prospect. The second club we’re focusing on is Team Vitality and their two French superstars MaestroSquad and Rafsou. Both players are established winners within the professional FIFA eSports scene and will both be familiar with each other’s playstyle. They will each be able to rely on one another to win their respective games and look like one of the strongest duos to compete in two vs two competition. However, the random draw did no favours for Vitality, as they were placed in the same group as fellow French club Dijon FCO (Group C). Unsurprisingly, this didn’t seem to go down well. The final club we’re looking at is perhaps unsurprising as we turn our attention to the reigning two time champions. Danish club Brondby are the only club to have lifted the FIFA eClub World Cup after backing up their 2017 triumph with a stunning win in 2018, when they defeated Team EnVy in the final. The hero of that grand final – Ustun – no longer represents the famous yellow, however his partner Fredberg is back and with him will be Dingo who will be looking to make a name for himself on one of the biggest stages. Can the Danes shock the FIFA eSports community yet again and secure a historic hat-trick in the same city that they lifted the inaugural FIFA eClub World Cup trophy? Well, after winning the recent FIFA 19 Nordics Invitational representing their country, both players will go to London in confident mood! A tournament such as the FIFA eClub World Cup is never easy to predict as the format is fairly unique. Players are used to playing for themselves and adapting to playing as a team can be difficult. Those all-important two vs two matches could make all the difference in the long run. You’d imagine players from the same country teaming together will hold an advantage with any language barriers not being an issue, but despite that we have no choice but to predict two players who represent different nations to win the grand prize as they team up for one event only. F2Tekkz and Nicolas99fc are the overwhelming favourites heading into the competition and everyone including us are excited to see how they work as a team. 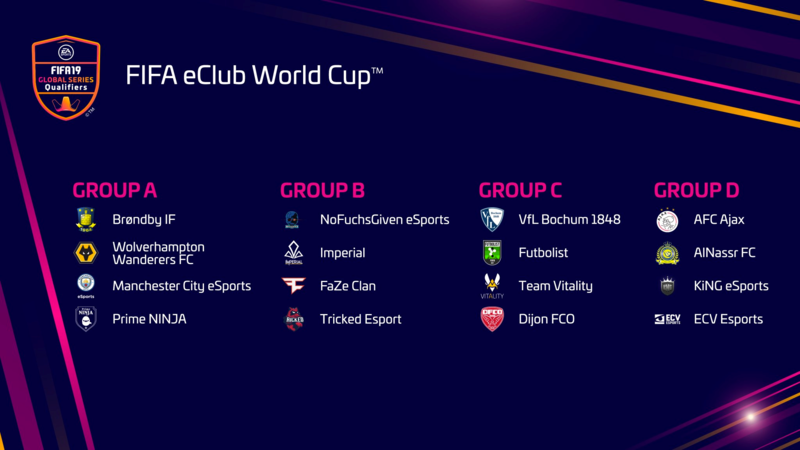 It could well end in tears, but we’re hoping it doesn’t as they are our picks to win the FIFA eClub World Cup for KiNG eSports.